Meat pies are one of my favorite Aussie food specialties. Actually, with the exception of Vegemite (definitely not my favorite), I’m not too well-schooled in Australian eats. I’ve never been to the continent, but the individually-sized, ready to pick up and bite into pastries usually stuffed with a savory minced meat filling have made their way to New York City at humble pie shops like Dub Pies, Tuck Shop and Sheep Station. How hard could it be? I wondered. Not terribly with the help of a handy muffin tin to form them. I had half a mind to create two versions of the snack to bring for the party-goers, meat and non-meat, but knowing that a good deal of them would be vegetarians, went with a simpler solution. One vegetable, mushrooms, kicked up a little with some thyme, shallots, dry sherry and a hearty drizzle of white truffle oil. I completely understand that most types of white truffle oil are phonies, merely extra-virgin olive oil flavored with “natural” truffle flavor. It is not oil from the truffle itself; it has little to do with the haute darling and uber-expensive fungi that is truffle. But when times are tough, I think I’ll settle for not spending $6,000 a pound on the delicacy. I can appreciate a good cheat now and then, as long as it’s relatively harmless, and tasty. Truth be told, I’m not sure how essential the white truffle oil was towards making these bite-size morsels satisfying. I didn’t happen to dispel the fact that I used truffle oil to my friends, who gobbled them up eagerly. 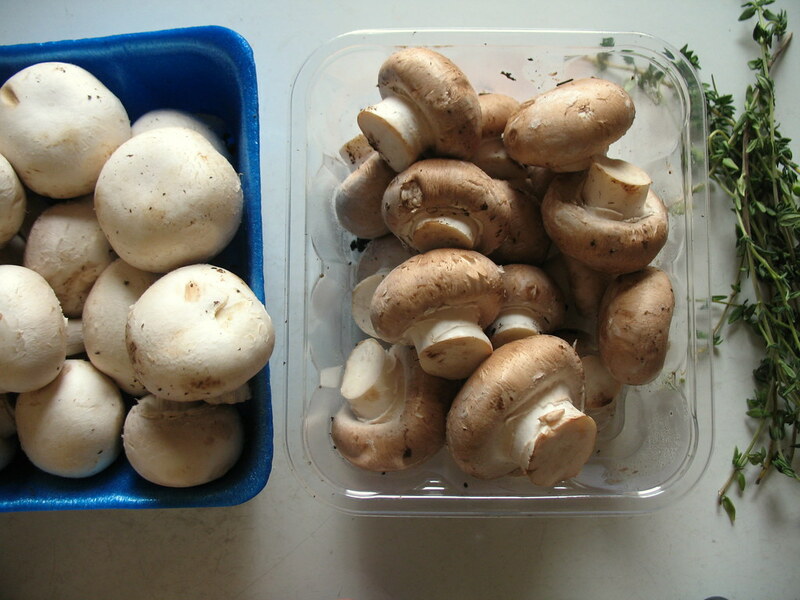 When asked what kind of mushrooms I’d used, most were surprised to hear that they were the only two kinds sold at the local, conventional supermarket I’d shopped at (for lack of making it out of work to hit the Greenmarket in time): white button mushrooms and baby Portobellos. As far as I’m concerned, these generic ‘shrooms can go a long way. Especially once they’ve gotten a little old and browned, which means they’ll cook up even more flavorful. One of these days I’ll have to try the concoction again with some more exotic wild varieties, some shiitake perhaps, and — oh yeah — meat. But I doubt that any mushroom ensconced with a buttery crust and seasoned lightly with some fresh herbs wouldn’t satisfy for this recipe. For these, it wasn’t the ingredients that counted (fake white truffle flavor, basic mushroom varieties), but the delicious, Aussie meat pie-inspired application. As the Aussies would say, it’s one grouse piece of grub. Make the pastry: Combine the flour and salt in a bowl. Cut in the butter with a pastry cutter (or pulse in a food processor) until the butter chunks are no larger than the size of a pea. Add one tablespoon of water at a time just until the mixture is moist enough to form into a ball. Divide into two balls, cover with plastic wrap and chill at least 30 minutes, or while you prepare the filling. Melt butter in a skillet over medium heat. Add the shallots (or onions) and cook, stirring occasionally, until translucent, about 6 minutes (reduce heat if becoming browned). Add the mushrooms and a few pinches of salt and pepper and cook over medium-high heat, stirring occasionally, until the mushrooms have released their juices and the liquid has mostly cooked off, about 8 minutes. Add the sherry and cook another 2-3 minutes while stirring to reduce the liquid. Add the thyme and taste for seasoning, adding extra salt and pepper as desired. Add the optional truffle oil and stir to combine. Remove from heat. Preheat oven to 350 degrees. Grease muffin tins to hold about 12 individual pies with butter. On a lightly floured surface, roll out one of the balls of dough. Find a cup that, when pressed upside-down onto the dough, cuts out a round that fits nicely into each of the muffin tin depressions so that the edges just come up to the flat surface. Roll and cut out enough rounds and press them into each of the muffin tin depressions. 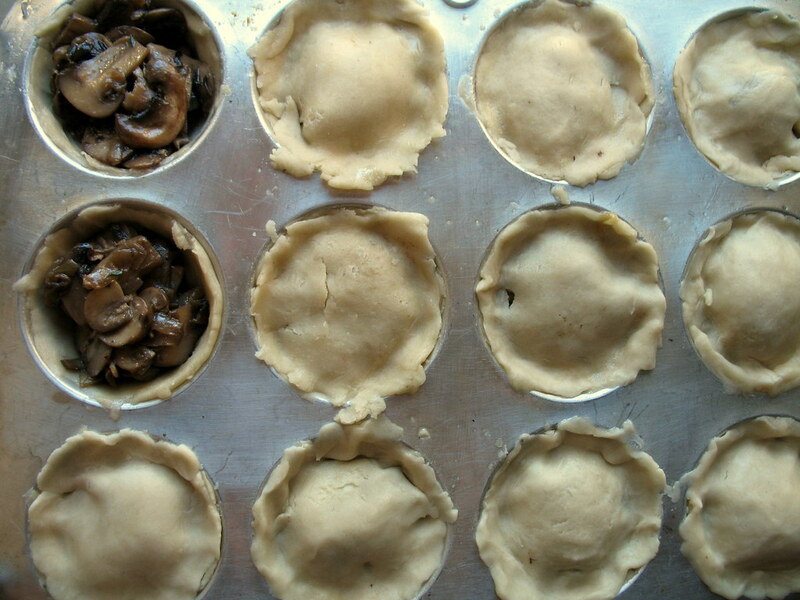 Fill each with equal portions of the mushroom filling. To make the pastry crusts that fit on top of each one, you can either find another cup that will cut out pieces that fit, or (which I found easier), take a spoonful-sized hunk of dough and press it into a round with your hands on top of a cutting board; remove it from the board with a knife and place on top of the pie. Secure it to the bottom crust by pinching them downwards along the edges so that both crusts meat and form a seal. Brush tops with egg wash or milk (optional). Bake for about 35 minutes, or until tops and edges are lightly browned. Let cool at least 10 minutes before carefully loosening them from the tray (with a knife or soft spatula). 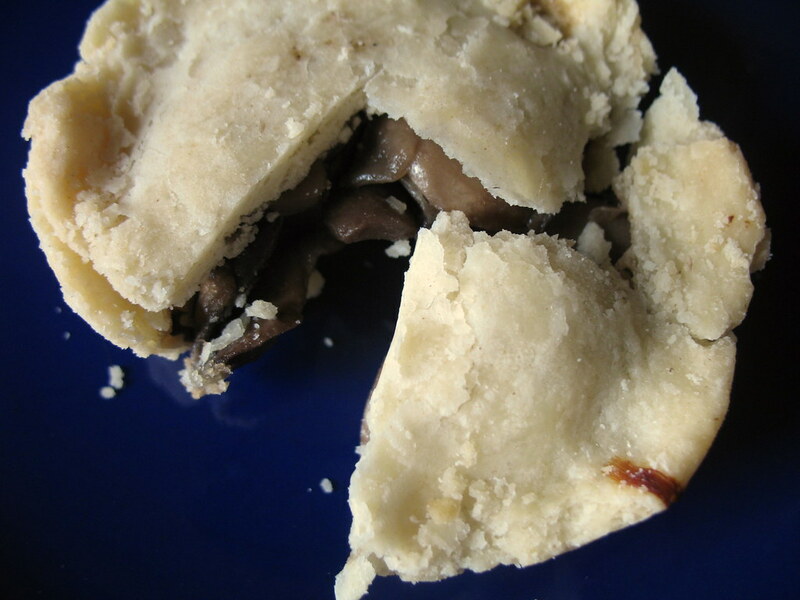 Seven brownie points: This is not a health food, not with a basic, buttery pastry dough crust, which ends up being about a 1:1 ration in mass to the mushroom filling. That said, it could have been a lot more damaging had a richer filling been chosen. I pressed the brakes on the thought of adding cheese to the filling, going for all-mushroom flavor, all the way, instead. If you want to give it a try, I might suggest goat cheese. But bear in mind the extra creaminess will mean extra cholesterol. 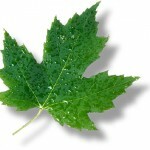 Three maple leaves: I kind of screwed up on this one. One of the reasons I’d chosen to use mushrooms in this recipe was because I’d seen such attractive kinds at the Greenmarket these days, still the dark days for seasonal produce at early spring. As lamented, I didn’t make it there and settled for commercial standard, non-organic mushrooms instead. The white truffle flavored olive oil was perhaps a greener choice than had I actually splurged for white truffles themselves; these babies are shipped from Europe usually, in small quantities which makes for a less energy-efficient trip. Not that I would ever buy white truffles for my own personal use, ever. These are pretty cute. Love the rustic look as well. I like the shroom version even though I love meat! these were absolutely scrumptious! for future fancier versions, you should do one of your famous lattice weaves on each pie (and serve with tiny utensils). These look great. I really need to try this recipe. I live fairly close to an Australian pie shop in Carroll Gardens, but I’ve never tried it. Now I’ll have to! I really love mushrooms and these look wonderful. Great idea to use muffin tins – they came out beautifully. Thanks for the recipe! Oooh! These look tasty and pretty! A must try for mushroom lovers! Will be trying this. Thanks! I love mushrooms – what a great little appetizer! 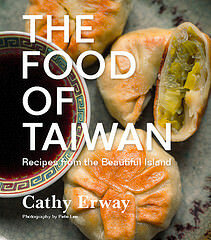 Take one very hot meat pie, go to football game in winter, and enjoy. I cook with baby portobellos (AKA crimini) all the time, since they’re about $4/pound versus $20-30 for the “fancier” mushrooms. I’ve discovered dried mushrooms lately though (chanterelles are my favorite, and porcinis are nice although very strong earthy flavor) – you can buy a few ounces for about $5 and they’re always on hand in case you can’t find a good deal on fresh ones. Just pour a little boiling water over them in a bowl, let them set for 20 minutes, and you have some nice ‘shrooms to mix in with the cheaper criminis to save $$ and add flavor! You might have already known this, but I wanted to share just in case. I love your mushroom pies btw, they are so cute! These look delicious and easy to riff on for appetizers. 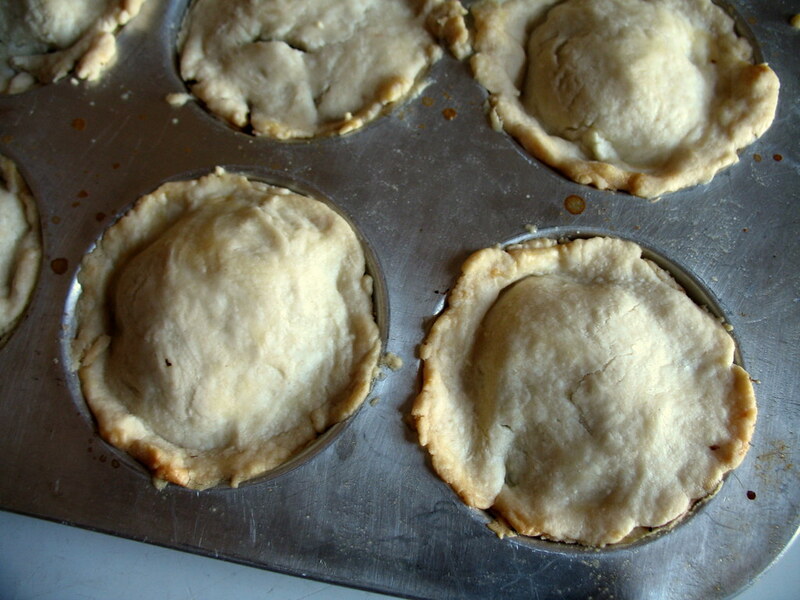 I’ve used muffin tins to make small meat pies before, but never thought to put a top on them. Good idea!